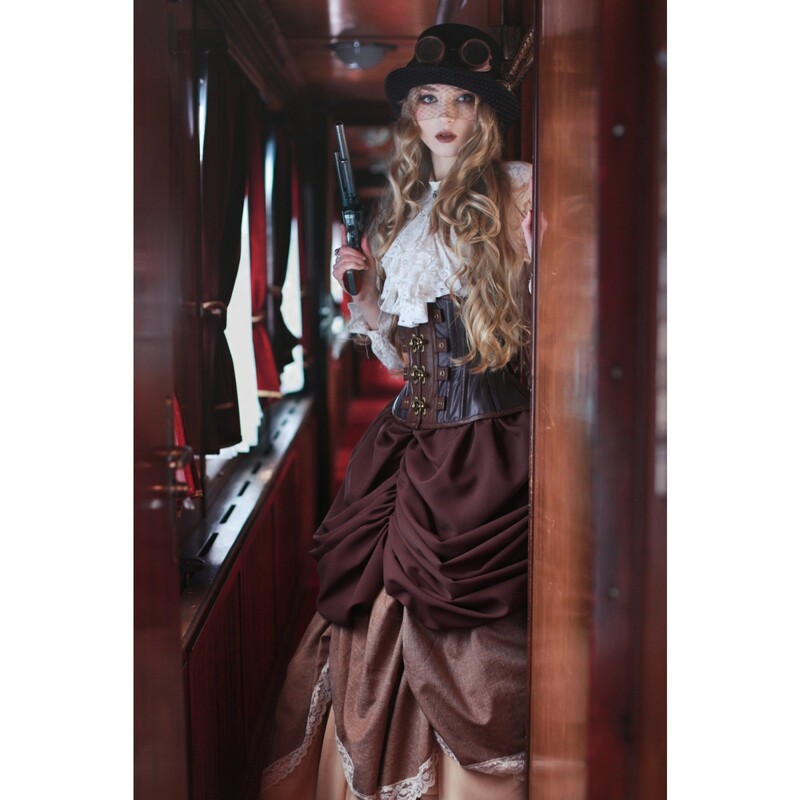 Be whisked away to a world where countesses, lords, explorers and spies travel the globe in beautifully opulent trains. Where the corseted prostitutes have the last word and anyone can be whomsoever they wish to be. 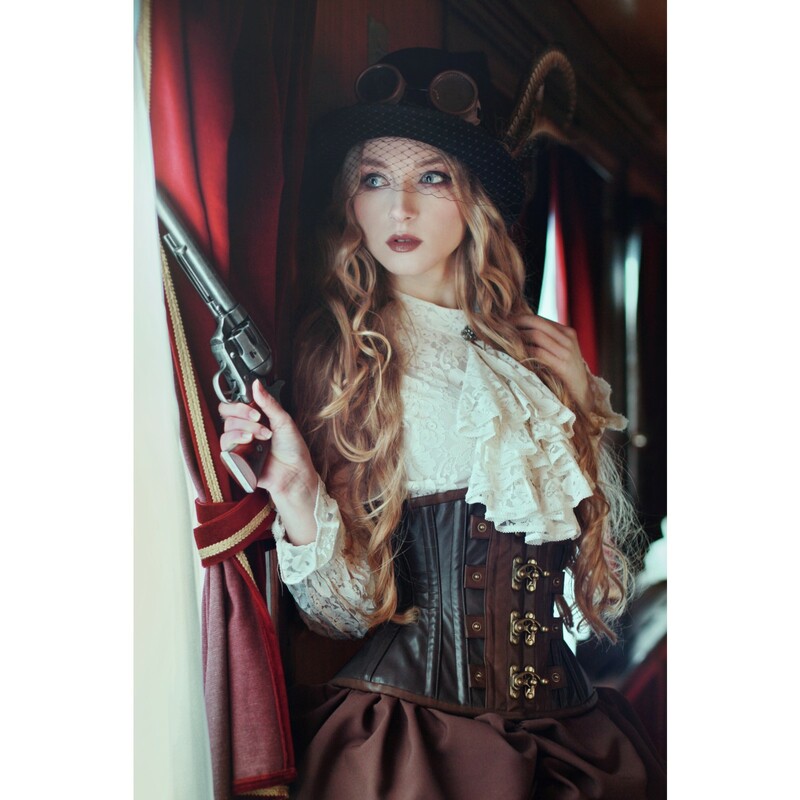 Welcome to steampunk. Vintage brass buttons, buckles, zips, rings and fasteners are abundant on this highly functional corset. Includes the pocket belts that can snapped into a variety of different positions to create new combinations, so you can design your own look. The handy pockets have zips and snap buttons to keep your valuables safe. Made from soft faux leather and lined with cool cotton, this corset looks as good as it feels. Antique brass grommets, snap buttons, zips and more.